1395Annette Gerrits submitted her SOTM from Paris, France. 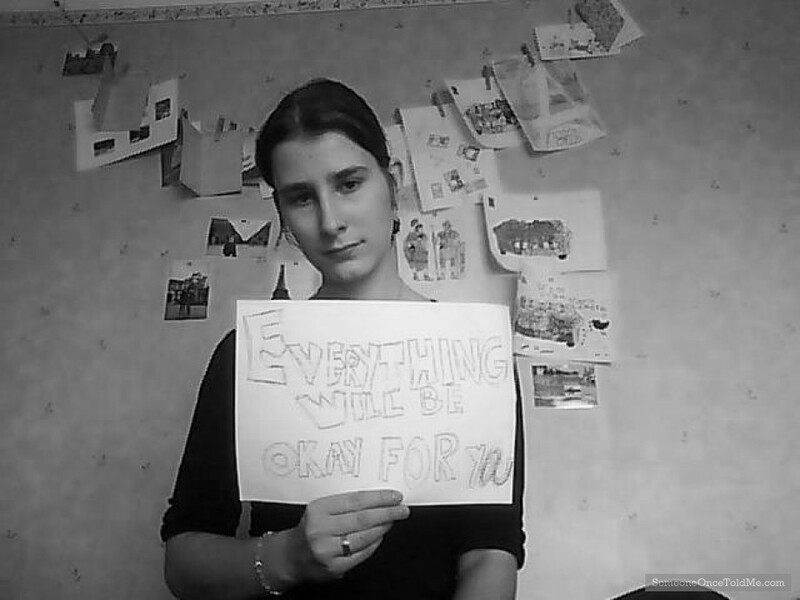 She wrote: “My boyfriend tells me this everytime I cry when I speak to him on skype. "I'm studing abroad in France for half a year, (I'm originally from the Netherlands) and I miss him and my family a lot. He acctually tells me this in Dutch (alles komt goed met jou) It makes me smile every time and it makes me feel better.